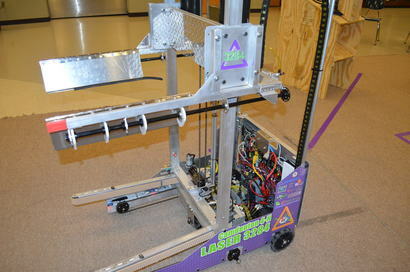 LASER was "Powered Up" for their ninth year of competition in the FIRST® Robotics Challenge. Kickoff day was filled with promising brainstorming, drafting and goal setting as LASER prepared to take on the challenge of FIRST® Power Up. LASER members were especially interested in the strategy required by this year's game. With the graduation of several key LASER members, a new generation of LASER is ready to Power Up! at the St. Louis, Greater Kansas City, and Oklahoma City regional events during the 2018 season. At the Great Kansas City Regional Howitzer was a Finalist and the LASER 3284 team was humbled to bring home our fifth consecutive Chairman's banner. At the St. Louis Regional Howitzer made it to the Semi Finals and the team was honored with its 10th consecutive UL Safety Award and was proud to have earned the Engineering Excellence Award. The Oklahoma City regional saw the LASER team in the Quarter finals and the team was honored with the Motorola Quality in Engineering Award. 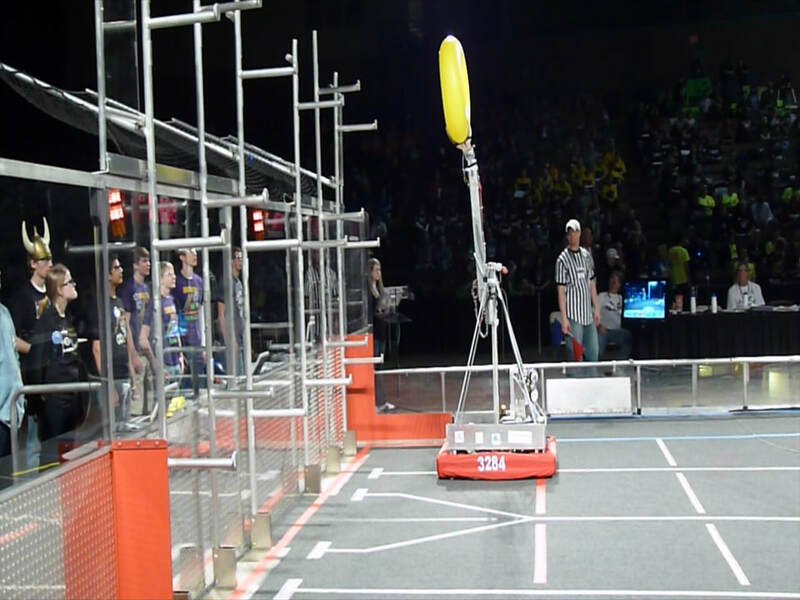 The Championship in Houston was exciting as Howitzer was selected by the #2 alliance captain. After three hard fought battles the alliance fell in the Quarter finals. The team brought home its second consecutive Championship UL Safety Award. The team is looking forward to blast off in Fall 2018 and be ready for "Destination Deep Space!" 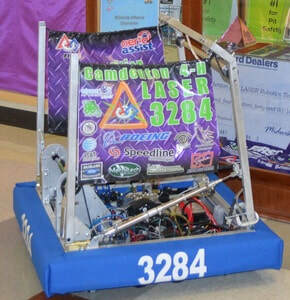 ​LASER had a successful season in their eighth year. The team traveled to the St. Louis, Oklahoma City, and the Lone Star North Regional in Houston, and to the St. Louis World Championship. The team set many goals for the season. LASER members worked hard to accomplish tasks and were awarded for their efforts. At the St. Louis Regional, LASER earned the Industrial Design Award and the UL Safety Award. Coach Comer was presented with the prestigious Woodie Flowers Finalist Award for his commitment to FIRST® and STEM education. In Oklahoma City, 3284 joyfully accepted the most prestigious award in FRC® Robotics, The Chairman's award, for the fourth consecutive year. In addition, LASER received 3 awards from their last regional, The Lone Star North Regional in Houston, Texas. LASER earned the UL Safety award, Engineering Inspiration Award and was the winning Alliance Captain. 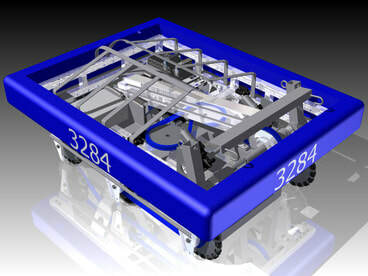 LASER also won the UL safety award in the Carson/Tesla division at the World Championship. Along with LASER's accomplishments this season, they also collaborated beyond the FIRST® community. LASER co-hosted the annual Show-Me Robotics event at the State Fair in Sedalia, MO. They also displayed all four progressions of FIRST® at the Ozark Mini Maker Faire in Springfield, MO. The team also mentored a rookie robotics team from Knob Noster, MO by providing our practice robot for the team to use at the off-season Cow Town Throw Down event in Lee’s Summit, MO. LASER 3284 hosted the Mid-MO FIRST®​ FLL Expo as well as the Mid MO FIRST® LEGO® League Qualifier and a Mid MO FIRST® Tech Challenge Qualifier and meet. The team coaches were also asked to oversee the Central MO FIRST® FLL affiliate. The team looks forward continuing to help grow ​FIRST® in an official capacity through the Affiliate title. 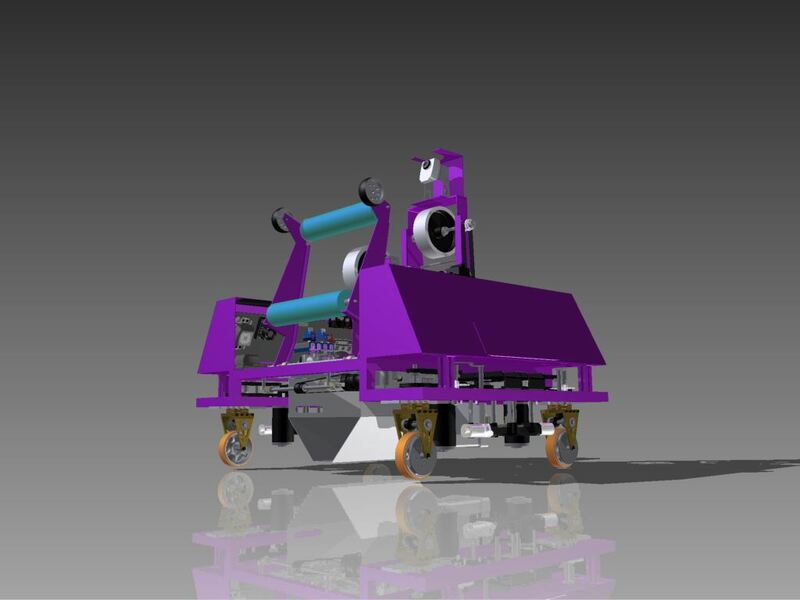 ​In LASER’s seventh year, the team and their robot, Ballista, traveled to the St. Louis Regional, Iowa Regional, and Newton Division at the world championship. At the St. Louis Regional the team proudly earned the Chairman's award, had a FIRST® ​Dean's List Finalist (Brenden Barbour), and earned the UL Industrial Safety Award. Then, at the Iowa Regional, the team ranked 7th and earned the Quality Award. After qualifying for the St. Louis World Championship the team competed in the Newton Division and one of the members, Brenden Barbour, earned the FIRST® Dean's List Award. LASER co-hosted the annual State Fair Show-Me Robotics competition, displaying all four progressions of FIRST® at the Ozark Mini Maker Faire, and hosted robotics camps. The team has also mentored numerous teams across Missouri, hosted the Mid MO FIRST® Jr. FLL Expo as well as the Mid MO FIRST® LEGO® League Qualifier and the Mid MO FIRST® Tech Challenge Tournament, and encouraged others to get involved in FIRST®. ​LASER’s sixth year proved to be success, introducing new team members, coaches, and mentors. The Recycle Rush season brought the team many victories. At the Arkansas Rock City Regional, LASER was presented with their second Chairman’s Award as well as the UL Safety Award. 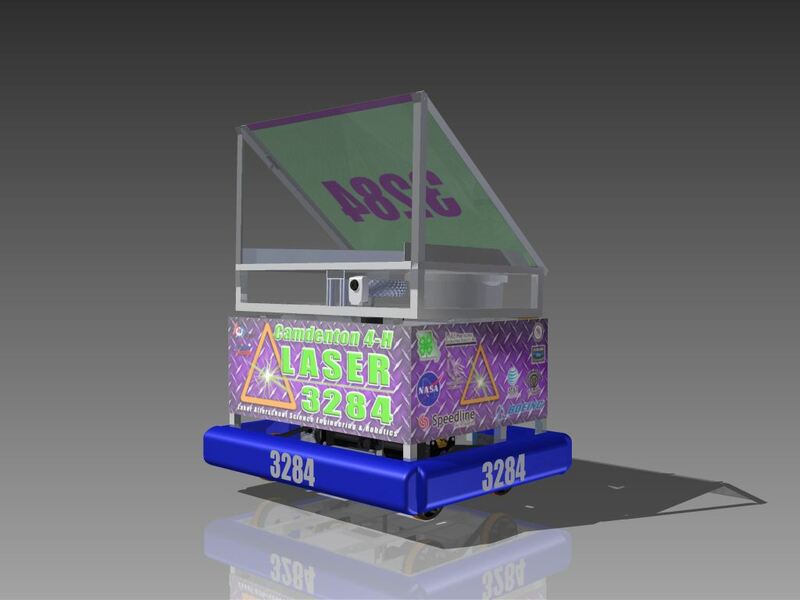 When LASER competed at the St. Louis Regional, they earned an additional Safety Award as well as the Motorola Quality Award. Venturing to the World Championship once more, 3284 learned from the experience and hopes to return to the Edward Jones Dome once again next year. ​With the graduation of the founding team members, the new generation of LASER rose to meet the 2014 challenge, Aerial Assist. The students worked to involve the community throughout the year, and recaptured their regional crown at the St. Louis Regional. They defended their title and received the most prestigious award offered by FIRST®, the Chairman’s Award. After returning to Camdenton, the Camden County Sheriff’s Department escorted the team’s bus across the county line. LASER continued their outstanding season in Illinois, where they earned their fourth Safety Award. Thanks to their accomplishments, they official FIRST® ​ FLL Qualifier event. ​In their fourth year, LASER continued to share awareness for STEM and FIRST® by hosting robotics camps and programming classes over the summer, as well as presenting at various conferences and exhibitions. LASER also co-hosted the Show-Me-State Robotics Competition, the state’s 4-H Robotics Conference, and several other events. 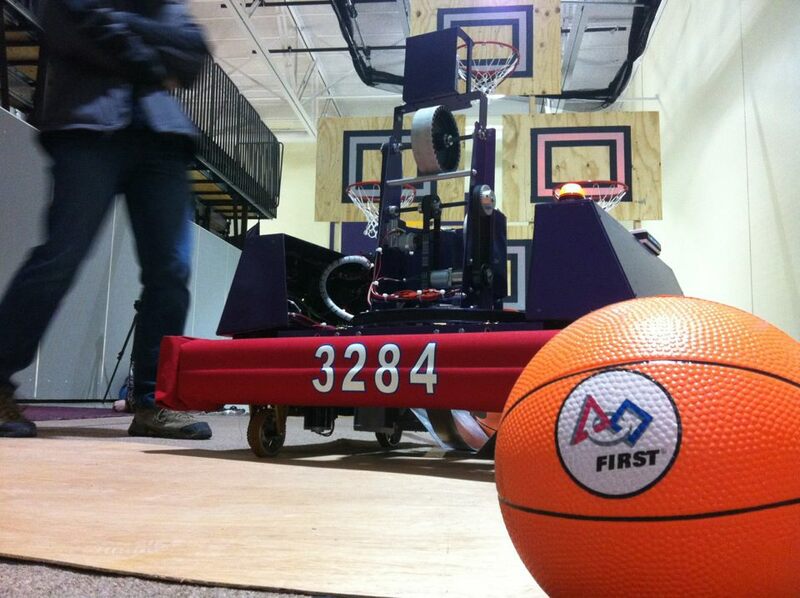 Prior to the game reveal, members spent hundreds of hours mentoring and learning about FIRST®. 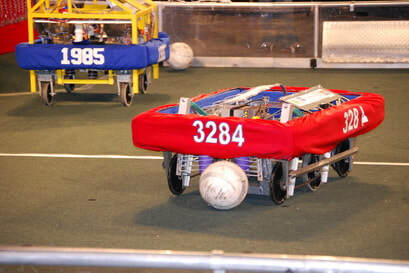 LASER was driven after failing to qualify for the World Championship the previous year, and set a goal to return to the Edward Jones Dome and to represent Missouri on the Einstein field. 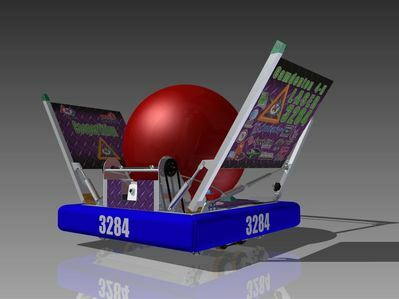 They built a robot to compete in Ultimate Ascent as a defender, dubbing their machine, “The Patriot”. The Patriot defeated a full court shooting robot at the St. Louis Regional and helped LASER take back the title of champion at the event. At the World Championship, The Patriot made its way to finals on the Galileo field, ending its run as the team robot with an amazing close to the season. 2012 was a busy year for LASER; continuing to spread the word of FIRST®​​, they began mentoring over twenty FRC® and FLL® teams and presented at various events and conferences. The team spoke at the Southwest Missouri STEM Summit and hosted their own Central Missouri STEM Summit that was attended by sixty-five prestigious educators, state department leaders, state representatives, and community business leaders. Once again, the team held a kickoff celebration in their high school’s auditorium and were introduced to the year’s game, Rebound Rumble. They worked together to brainstorm ideas for designs, discuss the game rules, and elect officers. 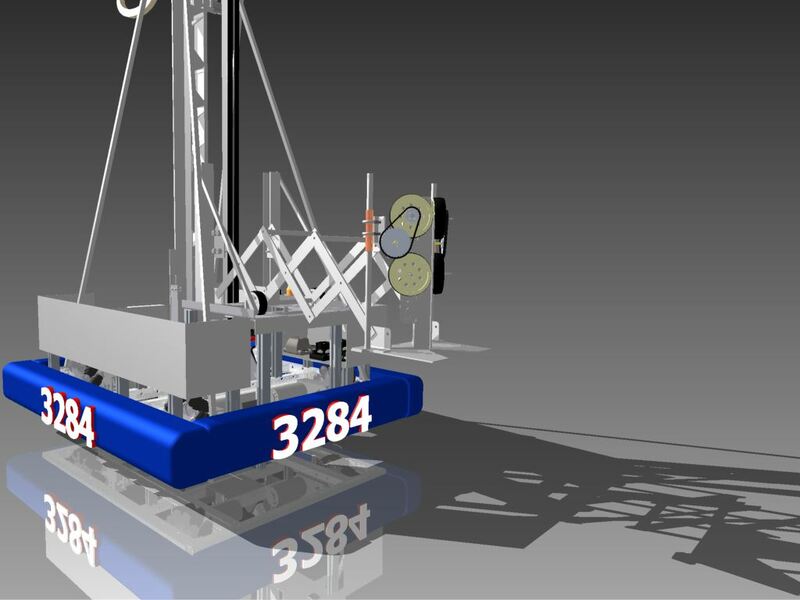 LASER built a complex robot that just fell short of taking the team to the World Championship. However, the team received the Gracious Professional Award at the St. Louis Regional and made memories that would be remembered for years to come. LASER’s second season was equally as exciting as their first, having a year’s experience under their belts as they worked together in Logo Motion. Not only did the team have more experience, but they also increased their member population from 21 to 32 and they gained 18 more mentors as well. After their kickoff party in Camdenton High School’s R.C. Worthan Auditorium, the team immediately began brainstorming ideas for their robots. They worked hard not only on their robot, but strives to inform their community, schools, and other organizations about FIRST® and STEM. In Kansas City, at what many consider the most difficult FIRST®​ FRC® regional competition, they finished as finalists and learned from and listened to many of the other amazing teams that participated. LASER then went to the St. Louis Regional event in hopes of defending their title as champions at the competition. They were ecstatic when they achieved their goal, returning as not only the event’s winners, but also bringing home the Motorola Industrial Quality award and the UL Safety Award. Their victory earned them a spot at the St. Louis World Championship, where they were supported by not only their friends and families, but also by Missouri Governor Jay Nixon. Despite not advancing, the team had an unforgettable experience and had another astounding season. ​The LASER legacy began in 2010, when 21 eager students and 3 equally determined mentors teamed together to embark on their inaugural FIRST® season. The team had a Cinderella-like year, learning from both their successes and failures that the true way to success is through perseverance. They promoted FIRST®​ and were determined to gain attention as they competed at the St. Louis Regional. Though LASER struggled with mechanical issues, they listened and learned from their outstanding mentors and several other gracious teams in attendance. 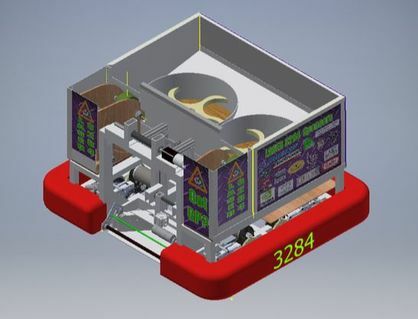 By just day three, the team saw major improvement and were chosen in alliance selections by team 1208, Metool Brigade- a team that grew to be friends with the rookie LASER team. LASER played through finals with its partners and pulled through in the last match, being the only remaining functioning robot on their alliance. Together, the three teams prevailed and secured their way to the World Championship. 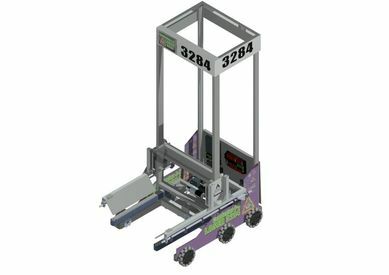 In addition, team 3284 earned the title of “Rookie All Star”, an award reserved for a first-year team that shows Gracious Professionalism­® and community involvement.